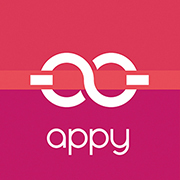 Appy offers all common TLDs such as: .com, .net, .info, .wedding, .us. The .com domains are $20 while prices for other domains fluctuate and are typically higher. When you submit a request for a custom domain, we will tell you which of your requested options are available and at what cost.